One of my sales which involved aftermarket profit was a Cadillac sold to the most unlikely customer. This brown Cadillac was restyled and then sold to a lady who did not like brown but loved this car! 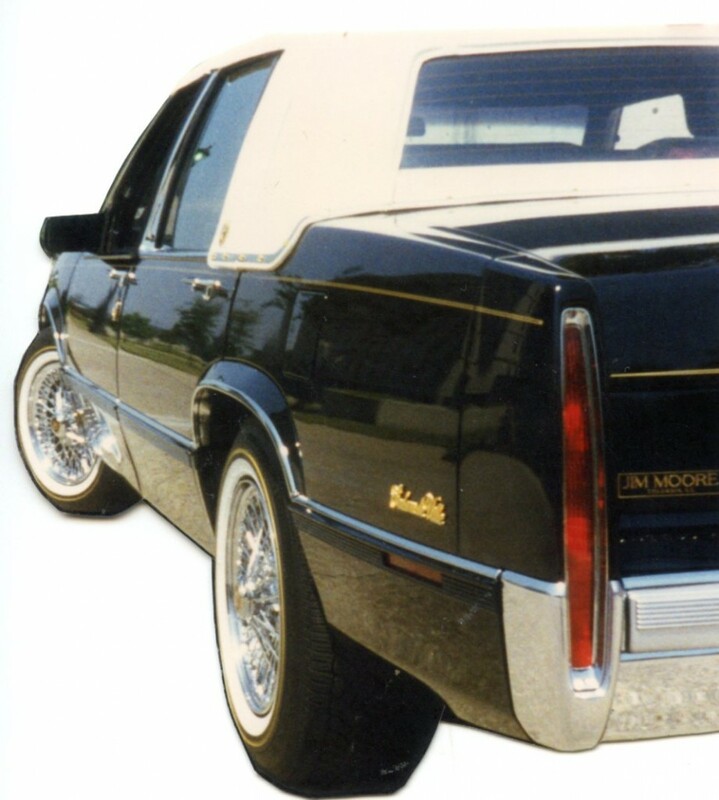 The least popular 1990 Cadillac at Jim Moore Cadillac was a dark brown Sedan DeVille. The dealership owner pleaded with me, Can you restyle this Cadillac and make it go away? My reply was, Yes I can. I created a one of a kind brown Sedan DeVille with a matching stay fast carriage top, Vogue Tyres and wheels, gold package and attractive gold striping. I detailed the vehicle and featured it in our hall of honor styling display area. I said to a lady who was in for service with whom I was visiting, I want you to see the most gorgeous one of a kind Cadillac I just featured for display. She said, Mr. Beloff, that’s the most beautiful car I have ever seen. I hate brown. I don’t even have brown clothes or brown shoes but that Cadillac is absolutely stunning. I want that car. I said, It is the only one like it in South Carolina. Let’s go for a ride, you want to. She said, No I want to drive it home. What do I owe you?” She never argued about the price. I had a nice commission and the dealership had aftermarket profit. A long time used car dealer, well known in Columbia South Carolina, called me and said Hey Alex. I’ve been in the car business so long that very few cars excite me any more, but I saw you styling by this morning in that brown Sedan DeVille. I have got to tell you, that’s the most beautiful thing I’ve ever seen. I had to tell him that it was just sold. These tastefully restyled Cadillacs that sell well new always sell well used. Not only are they featured on used car lots but they always generate a much larger price as well as aftermarket profit as befitting the restyling investment made by its original owner.